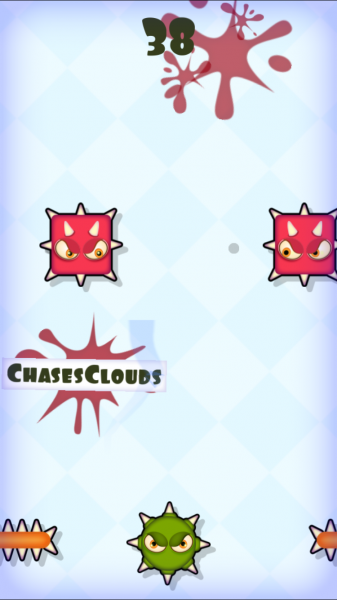 Mmm Fingers (Free) by Noodlecake Studios Inc and No Monkeys Studios is a simple arcade game that will keep you laughing and coming back for more. If you enjoy fast-paced twitch reflex arcade games, then this is a worthy addition to the collection. 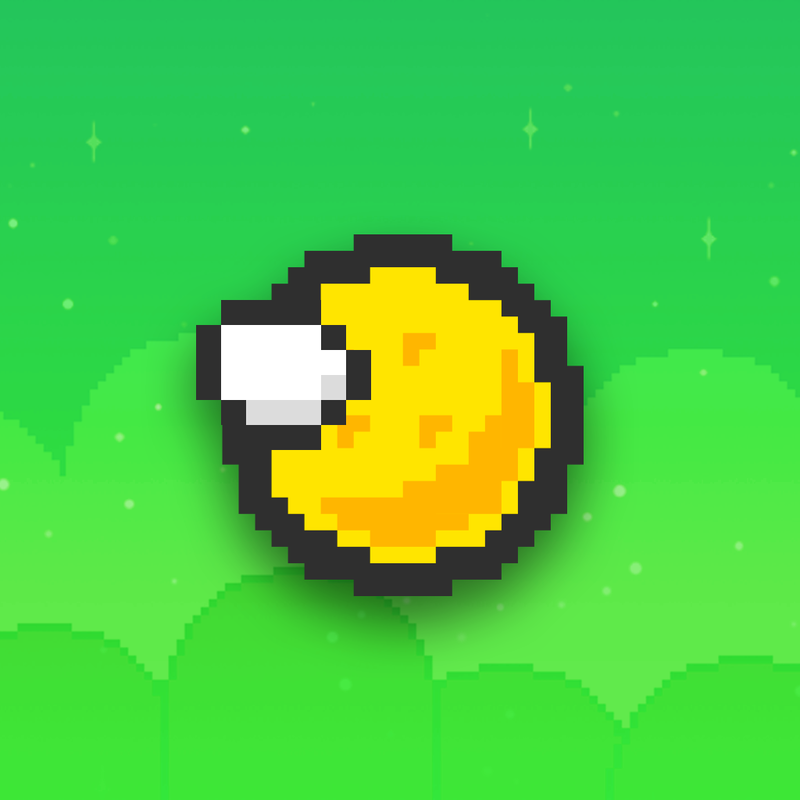 It is from the same people who brought you Small Fry and Flappy Golf. I have a busy schedule most days, so I only have a little bit of time to spare in between the things I have to take care of. That’s why I enjoy iOS games so much, because they are great for me to get a quick fix when I have a few minutes to spare. Arcade games are the best fit for these moments, because you can play it a few times in several minutes without having to worry. So when I saw that Mmm Fingers was out, I had to check it out. 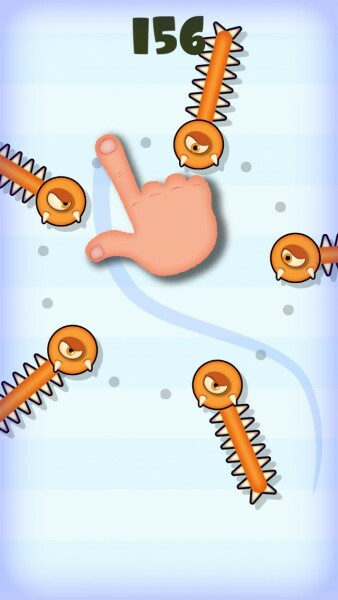 The visuals in Mmm Fingers are utterly delightful, but it is as I’d expect from No Monkeys and Noodlecake. It has a charming cartoonish look and feel to it, and the colors used are bright, rich, and vibrant against the white background. The animations are super smooth on my iPhone 6, and the music is a joy to listen to. 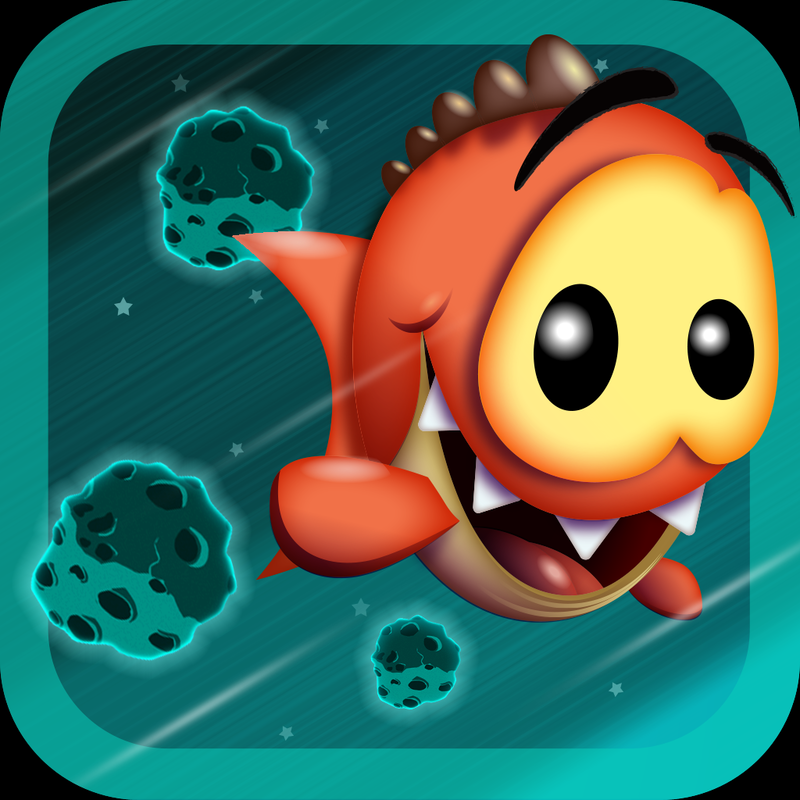 And to top things off, the sound effects in this game are hilarious, and could be one of the reasons you keep playing — it’s fun to hear the “chomp” sound of the monsters as they chow down on where your finger was. 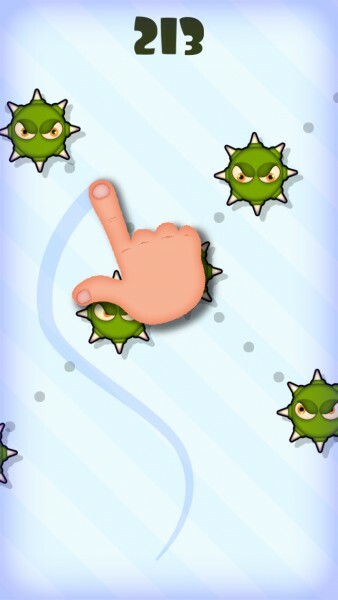 Mmm Fingers is, at its core, a vertical endless runner type of game, since the goal is to get as far as you can before your virtual fingers get bitten off. Because of this, there is only one game mode right now, but for a simple one-touch game like this, it is enough. You earn points depending on how long you last and how far you manage to get. 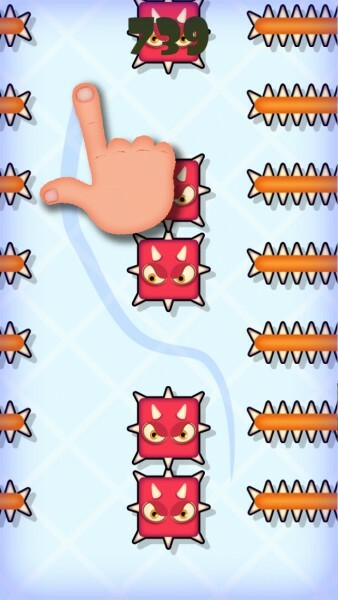 The controls in Mmm Fingers involve just one finger and are about as intuitive as you can get. 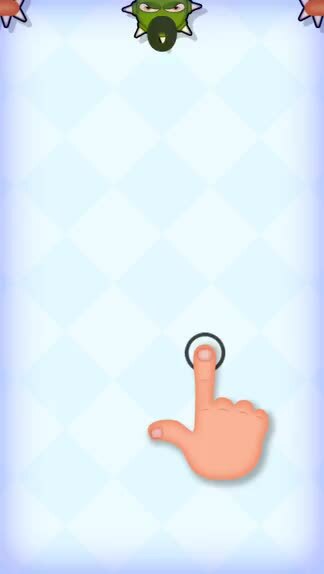 To start the game, just place your finger on the screen, but don’t let go! 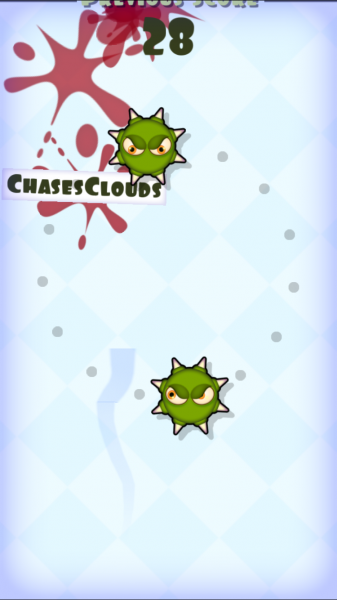 The moment you release your finger, or run into one of the many spiky creatures, the run will end and your finger gets eaten by the hungry monsters. 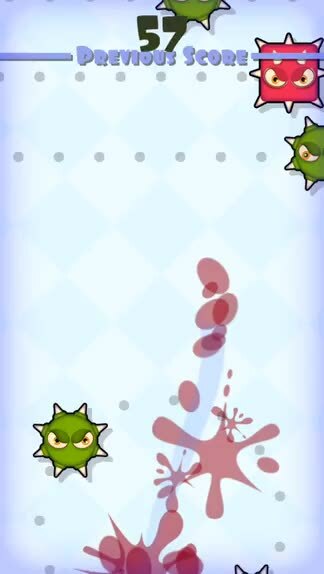 To avoid dangers, you’ll need to drag your finger around the screen, and make sure to keep it there. 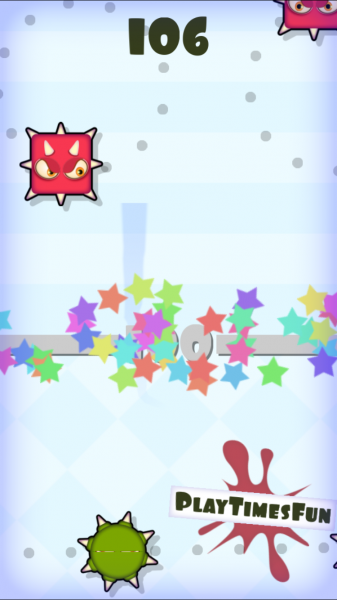 While it starts out fairly easy, the speed of the game picks up rapidly, so you’ll be in a frenzy soon enough. 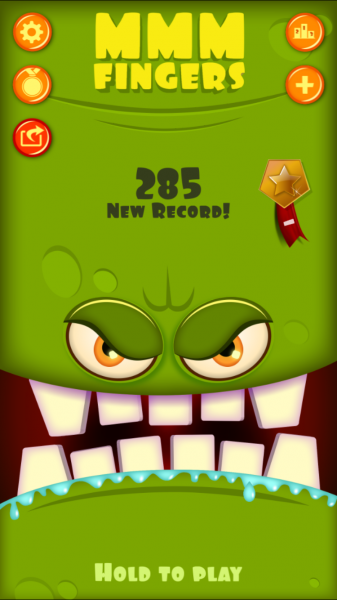 There is full Game Center integration in Mmm Fingers for both leaderboards and achievements. Additionally, you’ll see markers during the game that indicate what point your GC friends reached before meeting their fingers’ untimely demise. This is useful, but it does get a bit distracting as you get farther, adding to the challenge. If you do well enough, you can earn medals for your performance. 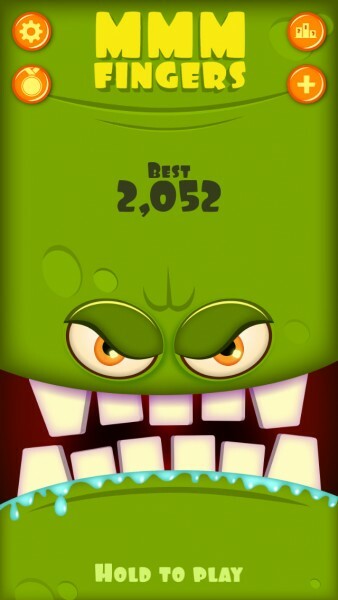 The game also has an end point as well, so you will see how much of the game you have completed so far after each go. 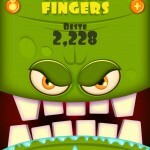 Surprisingly, even though Mmm Fingers is a free game, there are no in-app purchases whatsoever. 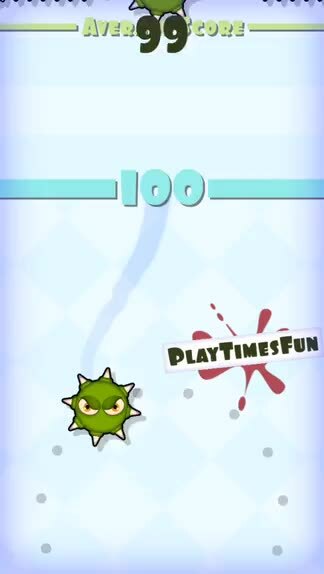 There will be an occasional ad that pops up between games, but it’s not obtrusive, so it’s nothing to worry about. 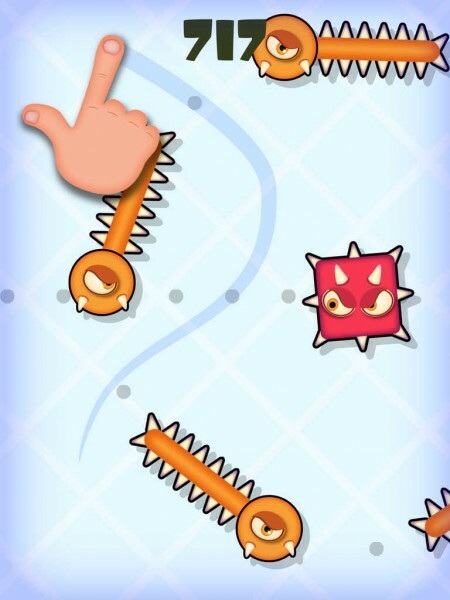 So far, I’m enjoying Mmm Fingers a lot due to the instinctual controls, lively graphics, quirky soundtrack, and addictive, challenging gameplay. It’s the perfect little game for me to pick up and play while waiting around, and it’s just as easy to put it down and come back to it later. This is one that will keep me entertained for some time. I recommend checking out Mmm Fingers if haven’t already. 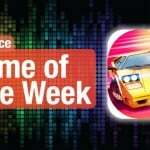 It’s a lot of fun and should appeal to any simple arcade game fan. You can find it on the App Store as a universal download for free.